Crow is a Legendary Brawler who has a crow like appearance, He is powerful medic Brawler, Just Don't judge by his appearance.He is one of the deadly Creatures in the game, Unlocked Randomly by opening boxes regularly, Let's dicuss about … [Continue reading] about Crow Brawl Star Complete Guide, Tips, Wiki & Strategies Latest! Dynamike Brawl Star Complete Guide, Tips, Wiki & Strategies Latest! Dynamike is a powerful Lobber, Who throws dynamite over the opponents and The two fallen dynamites deals small area damage to the opponents in that area.Dynamike has an old man appearance, Let's discuss further on Dynamike's Strategies, tips, … [Continue reading] about Dynamike Brawl Star Complete Guide, Tips, Wiki & Strategies Latest! Brock – Brawl Star Complete Guide, Tips, Wiki & Strategies Latest! 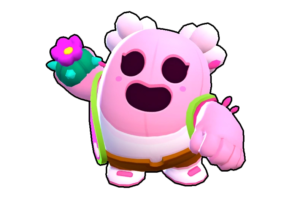 Brock is a powerful Brawl Stars and he is one of the underrated Brawlers, Who does a incredible damage to a single target, When it is done properly.Brock is best supportive Brawler in the game, Let's discuss Brock's Strategies, Guide, Tips, … [Continue reading] about Brock – Brawl Star Complete Guide, Tips, Wiki & Strategies Latest! Bull - The name could be inspired from Real Bull, As animal bull tries to attack with his horns fastly, Similarly, In Brawl Stars, This Guy Bull with a Shotgun has a special ability which damages everything, Smash obstacles in his way.Bull is a … [Continue reading] about Bull Brawl Star Complete Guide, Tips, Wiki & Strategies Latest! Colt Brawl Star Complete Guide, Tips, Wiki & Strategies Latest! Colt is one of the most used sharpshooters in Brawl Stars Game, He has the best accuracy of all characters in the game. He looks Cool and stylish.Colt is a fantastic shooter, Because of his long, Accurate range of shooting, Let's Discuss Colt … [Continue reading] about Colt Brawl Star Complete Guide, Tips, Wiki & Strategies Latest!